Imagine picking out the perfect golf wedge and seeing instant improvement on the golf course when chipping, pitching, and hitting out of sand bunkers. It doesn’t always work like that, but golf wedges can be bought with special customization’s that fit your golf game best to help you excel in your short game. In this buying guide, we will highlight the different components of a wedge so you can better understand the make and build of golf wedges when shopping. You’ll be able to understand the difference between wedge grinds, lofts, and finishes and how they impact your play. You’ll also learn the different types of wedges to choose from, how many wedges you should have in your golf bag, and other common questions you may face when shopping for a new wedge. This will help you pick out the right wedge with the right components and features that can help you see improvement out on the golf course. There are different components you’ll want to learn more about in this section that make up the build and design of a golf wedge. These can be changed into many variations by manufacturers to create all kinds of wedges that fit different golfer’s needs. The first major component of a golf wedge is loft. It’s the angle of the face of the wedge compared to an imaginary vertical straight line and measured in degrees. All clubs have loft with your driver being the lowest at 9-13 degrees loft and your lob wedge being the highest at 60-64 degrees loft. The higher the degrees loft, the more backspin the club can generate on the golf ball, which makes it elevate higher into the air creating a higher trajectory golf shot with less distance. This explains why your driver (less loft) hits farther than your wedges (higher loft), but your wedges can stop faster (more backspin) on a green than a driver can (less backspin). In terms of wedges, most golfers have multiple wedges in their bag with different lofts to cover different shots they’ll face in their short game. For example, you could have a 54 degree wedge used for most chip shots and then a 64 degree lob wedge to use on flop shots that stop quickly on the green after flying over a bunker to a tight pin position with little green to land the ball on. Bounce helps your wedge rebound off the ground so that it doesn’t dig into the turf when hitting chips, pitches, and bunker shots. The “bounce” of the wedge is the section on the clubhead that actually makes contact with the ground and it’s made up of different parts like the sole, leading edge, and sole angle. When picking out a wedge, there are many bounce options to choose from. First consider your swing tendency. 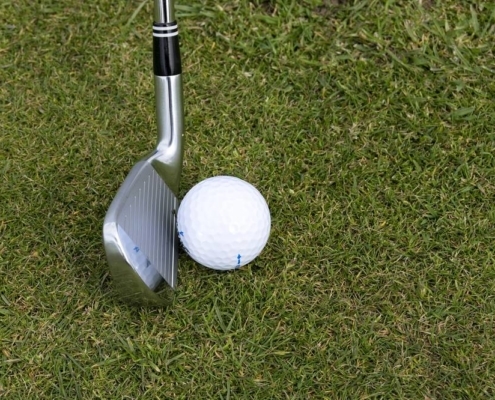 Do you tend to dig or sweep the golf ball on your wedge shots? This can help you determine whether you need more bounce (digger) or less bounce (sweeper). Bounce ranges from 0 degrees to 14 degrees and can be classified into three groups; low bounce wedges (0-5), medium bounce wedges (6-10), and high bounce wedges (10+). The bounce angle is measured by taking the angle of the leading edge to the sole. The sole is what makes contact with the ground since the wedge has a bounce angle making the sole sit lower than the leading edge. This helps keep the leading edge (bottom of the wedge face) from digging. The sole is the bottom of the golf wedge that makes contact with the ground when the wedge is sitting at address. It’s usually an inch or two wide. The sole is then “grinded” down using a machine to create different shapes which can impact how it sets on the ground. For example, a heel grind takes the heel portion of the sole down lower so the club sits lower at address which can be beneficial for certain shot types. Make note, however, that sole grinds affect bounce. When buying a wedge, the sole grind is noted using different letters like “C” or “S” or “U” as examples. Talk with a club fitter to learn which grind may be best for your wedge based on your chip shot and pitch shot styles. Grooves are the lines you see cut into the face of the wedge’s club head. These groove lines used to be deeper cut in the old days but recently the USGA changed rules, stating that the deep grooves gave unfair advantage. Grooves are what give the club a way of grabbing the golf ball just like treads on a tire help the tire grab the road. Grooves are commonly laser etched into the club face and must conform with the spin regulations set by the USGA. 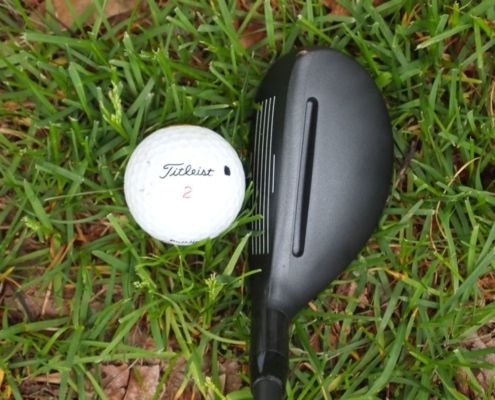 They also help the clubface create friction with the golf ball which is how the spin and trajectory is generated around the greens to help you gain control with your short game. Keeping the grooves clean is important if you want to produce higher spin golf shots and if you want your chips to perform consistently. We recommend carrying a damp towel with your golf bag to wipe down and clean your clubs after golf shots to keep the face and grooves clean for optimal performance. Your typical wedge face has a rounded pear shape with grooves etched into the wedge face to create spin on the golf ball. The leading edge you hear referred to often in this guide is simply the bottom edge of the club face. If you tilt your wedge shaft back at address (hands move behind the ball at address) this raises the leading edge and is a commonly used on flop shops. It also can increase your chances of skulling the golf ball since the leading edge is raised up higher away from the ground at address. If you tilt your shaft forward (hands lead ahead of the ball) then this shuts the face more and lowers the leading edge towards the ground to create that crisp contact but also can lead to chunks and digs. When wedge shopping you’re going to see different colored club heads on wedges like bronze, silver, blacked out, or even a blueish color. This would be known as the finish the wedge underwent. The type of finish you choose comes down to personal preference. Which color appeals to you the best and which gives you confidence at address when you look down at your wedge about to pull off a successful chip or pitch shot. Bronze & Rose Gold – also known as a raw finish, it tends to rust more over time which adds more friction to the wedge which can create more spin on chip shots. A wedge shaft is equivalent to a stiff shaft but has specific “wedge flex” built into it. Wedge shafts are also usually made of steel but can also come in graphite if it’s part of a graphite club set. Shaft length is the shortest in your golf bag with wedges but the shorter length is designed to helps it generate height on your shots and lots of backspin. Here is a helpful video featuring Bob Vokey, who has created a world famous line of wedges known as the Titleist Vokey wedges, and Mark Crossfield who does educational golf club review videos on his channel. According to Golfication, here are the four main types of golf wedges to choose to include in your set of clubs. The pitching wedge is one of the typical wedges that comes with an iron set by default. It’s an extension of the 9 iron with higher loft to fill that next distance gap. The pitching wedge is usually manufactured with a 44-48 degree loft. It’s a multi-use golf club used for full swings to the green from 100+ yards out as well as for half and three quarter swings from awkward pitching distances inside 100 yards. You can also use it around the greens for longer chip shots when more roll is needed. 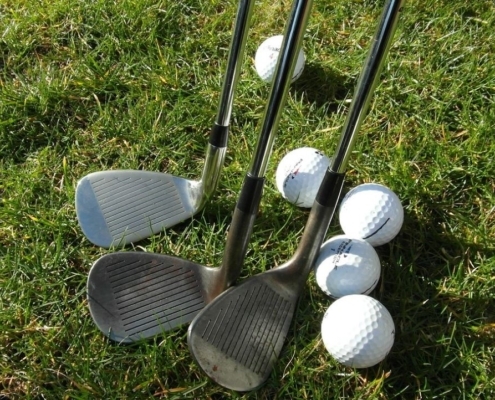 A gap wedge does just as the name suggests, it fills the distance “gap” golfers face between their full swing pitching wedge and their full swing with a chipping wedges or lob wedge. It has a loft usually between 50-53 degrees which fits between the pitching wedge (44-48 degree) and most chipping / lob wedges (54-60 degrees). 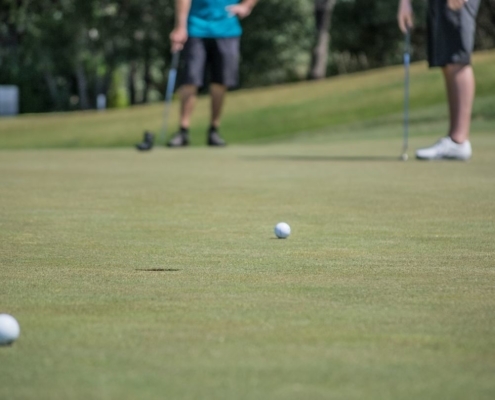 The average male golfer can find the gap wedge useful on full swings from 75-100 yards as well as for chipping around the greens and half pitch shots from 30-70 yards. 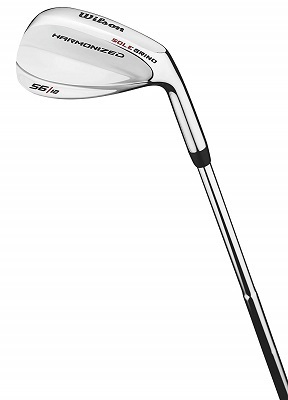 This club can be replaced in some iron sets for an AW which stands for Approach Wedge and has similar degrees loft. In the old days a sand wedge with the letter “S” on the end of the club head was more common. 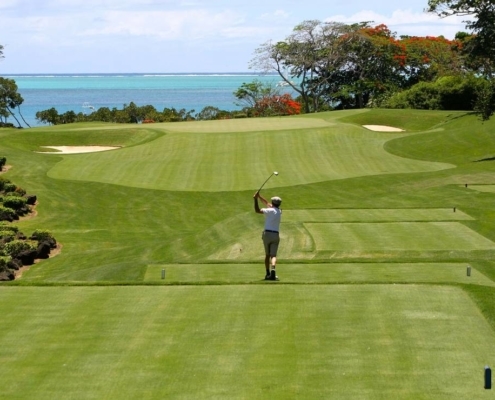 It has a loft range of 54-58 degrees and used commonly to escape sand bunkers, hence the name sand wedge. It also is a go to club choice for chip shots and pitch shots due to the higher loft that can stop the ball more quickly. As the name suggests, a lob wedge is used for the higher trajectory shots where you’ll “lob” the golf ball higher into the air so it can land softer with less roll. This is the club commonly used on flop shots as well as bunker shots and chip shots where high spin is required. It has a loft of 60-64 degrees and the face can be opened up during address with proper technique to generate even higher loft if needed. Which Golf Bounce Should I Choose for My Wedge? Low bounce wedges are ideal if you take shallow divots or have tighter turf conditions where the ground is firmer to bounce the club off of it. High bounce wedges are built for golfers who take deeper divots or for golf courses with softer conditions where the club is more prone to digging into the ground. Medium bounce wedges are a good option if you play a variety of golf courses and want a club that can be more versatile to fit different course conditions. You also can choose to buy two wedges, one with higher bounce and one with lower bounce if you choose. 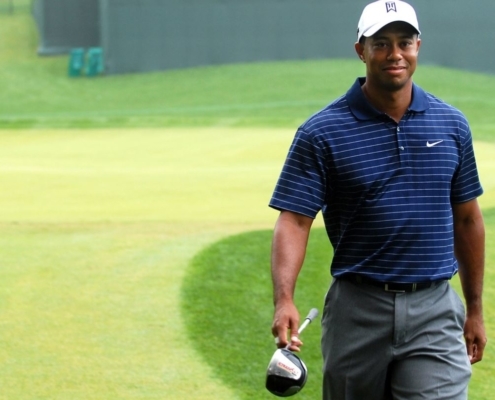 How Many Wedges Should I Have in My Golf Bag? You can have as many wedges as you’d like, there is no formal limit in the rule book. Most golfers carry multiple wedges but seniors tend to carry less wedges in exchange for more hybrids and fairway woods to fit their distance needs on a golf course. This would take up 4 of the 14 club spots leaving 10 left for your driver, wood, hybrid, putter, and 4-9 irons. 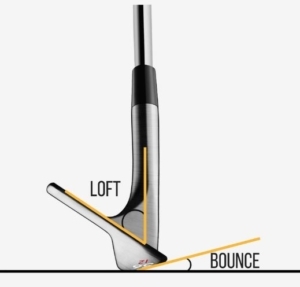 What Degree Loft Should My Wedge Be? If your chipping style is a bump & run, low chip shot with more roll you can get away with using your 9 iron or pitching wedge on most chip shots. 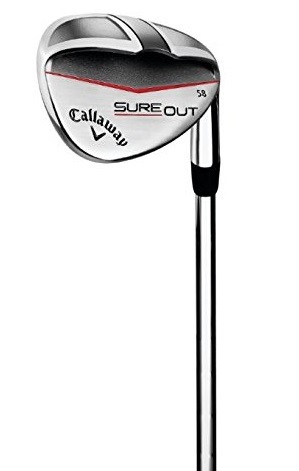 You could also buy a higher lofted wedge like a 60 degree or 64 degree to keep in the bag for extreme situations when high loft is need, like a flop shot. If your chipping style is to fly the ball farther and higher trajectory with less roll out, then you could benefit from carrying a 56 or 58 degree wedge with higher loft to perform these types of shots consistently. As mentioned above, we recommend you carry multiple wedges of different lofts to maximize your ability to pull off different golf shots you’ll face in different scenarios and course conditions. Think about green speeds and the golf course softness or hardness of the ground in general to help you decide too. If you’re wondering which golf wedges are the best on the market, it’s first important to analyze the best golf wedge manufacturing brands in the business. Cleveland and Titliest are two of the most popular in the wedge industry. 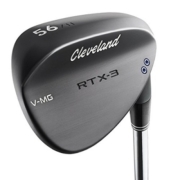 Just as TaylorMade and Callaway are referred to as the best driver brands, Cleveland is usually considered the top brand in the golf wedge category with many of their wedges making the top 10 lists of best golf wedges. Vokey wedges by Titleist have many generations noted by the symbol SM8 or SM7 which stands for “Spin Milled” plus whichever generation number the wedges have evolved to. Congrats on completing today’s golf wedge buying guide! Today we covered the different types of wedges you could have in your golf bag from the pitching wedge to gap wedge to sand and lob wedges. You also learned what the different components of a wedge are like loft, sole grinds, bounce, leading edge, grooves, and shaft makes for wedges. You learned the importance of each wedge and how carrying multiple in your bag is optimal to be able to use them for different types of shots you’ll face on the golf course. You’re now ready to buy new wedges and if you need recommended brands to shop first, we mentioned above the popular brands like Cleveland, Titleist, Callaway, Ping, and TaylorMade as good starting points. You can expect the price to be affordable for wedges, which allows you to purchase multiple if you choose. Overall, trying out different bounces and sole grinds will be most important when shopping to learn what suits your game and style of golf swing best!